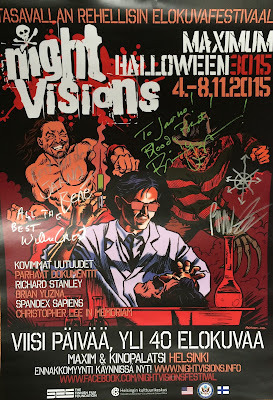 Poster signed by Bennett "Bene" Jones, Will Crest, Brian Yuzna and Richard Stanley. Re-Animator poster signed by Brian Yuzna. Richard Stanley intro to Lost Soul. 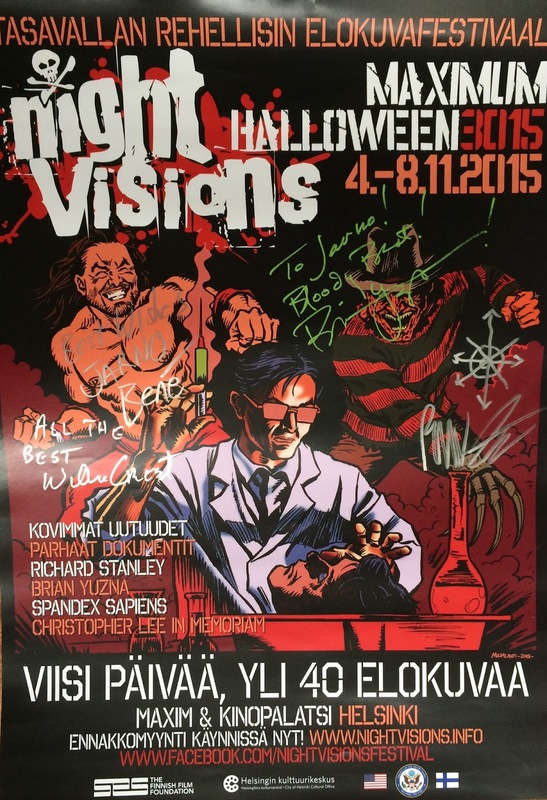 Hardware poster signed by Richard Stanley. Signed by Héctor Hernández Vicens. Mika Kaurismäki The Last Border Q&A.